Undivided construction: H + L 4000 mm max., 80 kg max. The attenuation effect of the RKA splitters is due to resonance. The splitter surface that runs parallel to the airflow is covered with resonating panels. These panels start oscillating due to the sound (resonance) and hence absorb sound energy. Resonance works best in the frequency range of critical fan noise. The splitters have a mineral wool infill that prevents an amplification of the sound. Quick sizing tables provide a good overview of the insertion loss and of differential pressures for different airway widths and airflow velocities. Intermediate values can be calculated with our Easy Product Finder design programme. The sound power levels LWA apply to sound attenuators with a cross-sectional area (B × H) of 1 m². 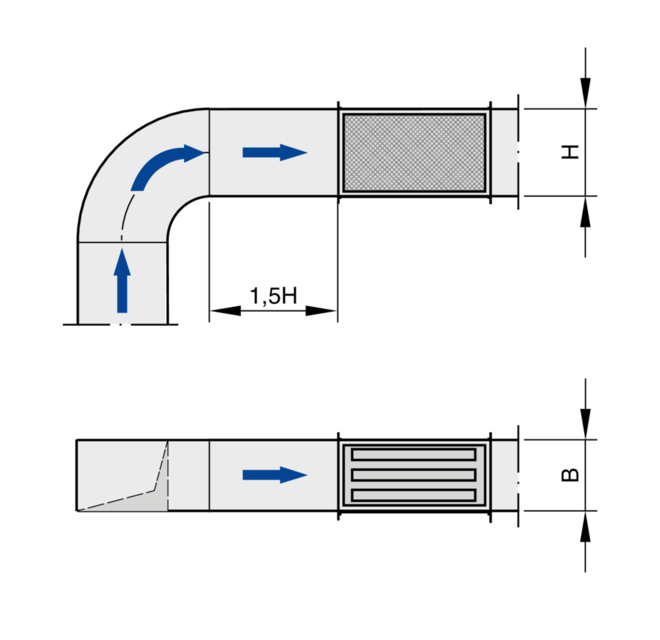 The differential pressures apply to sound attenuators with a height of 1 m.
Sound attenuator splitters used for the reduction of fan noise and air-regenerated noise in air conditioning systems. Attenuation effect due to resonance. To be used in combination with sound absorbing splitters. Energy-saving as well as hygiene tested and certified. 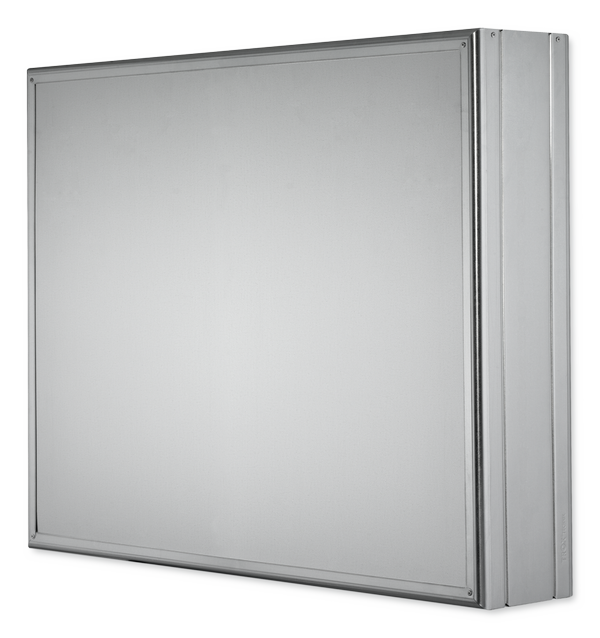 Installation kit consists of an aerodynamically profiled frame (radius > 15 mm), absorption material and resonating panels. 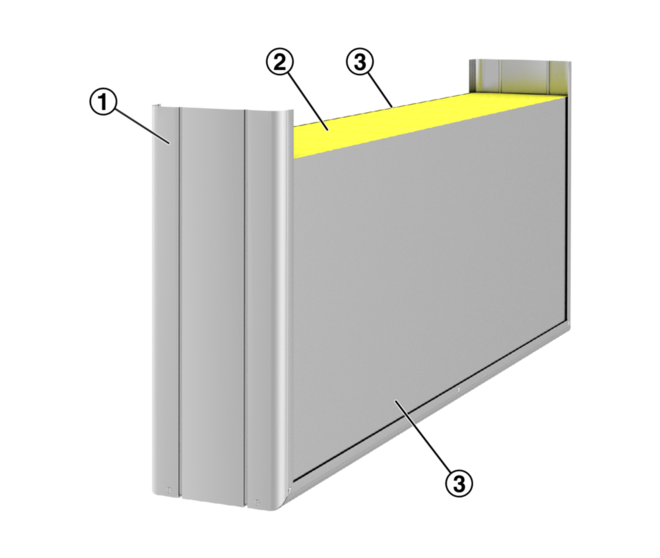 Frame edges are folded to protect the sound absorbing infill. Insertion loss and sound power level of the air-regenerated noise tested to ISO 7235. 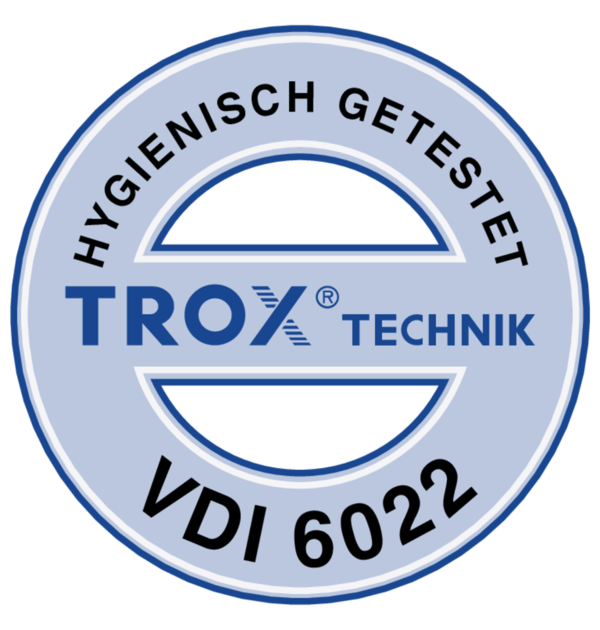 Meets the hygiene requirements of VDI 6022, DIN 1946, parts 2 and 4, as well as of VDI 3803. 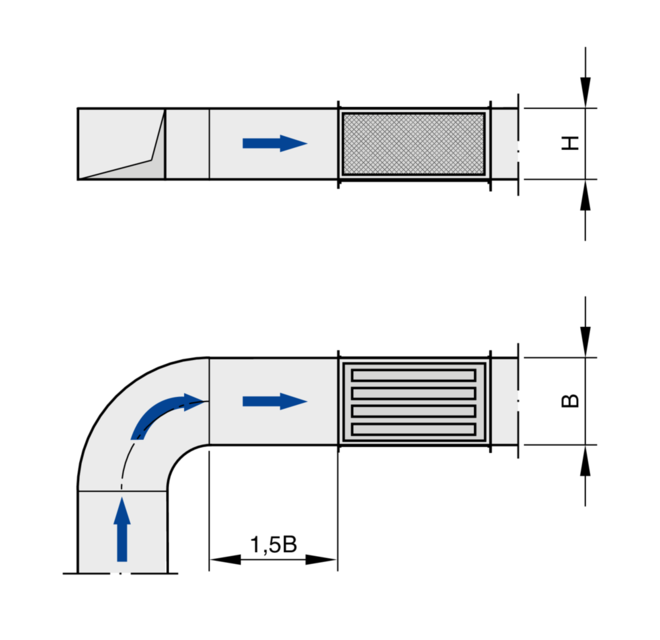 The length (L) of splitter attenuators refers to the airflow direction. 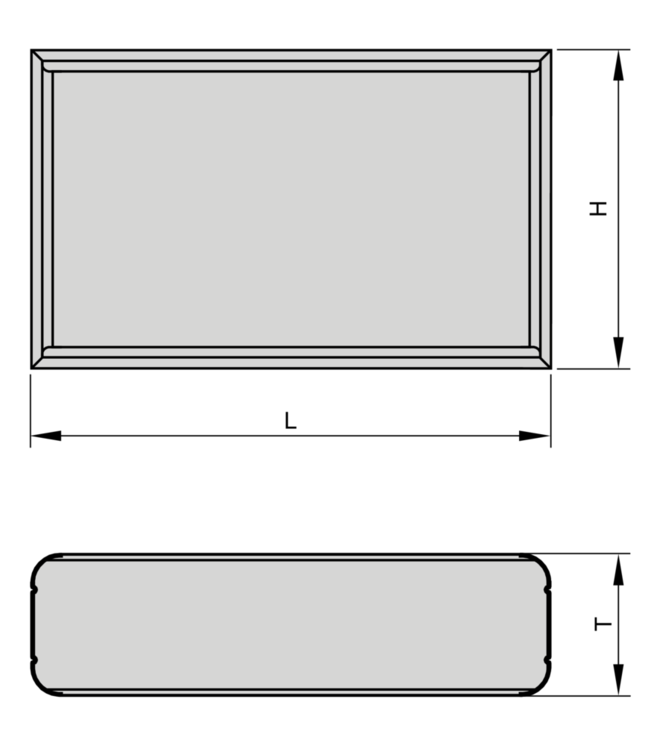 The length (L) of sound attenuator splitters and splitter attenuators refers to the airflow direction. 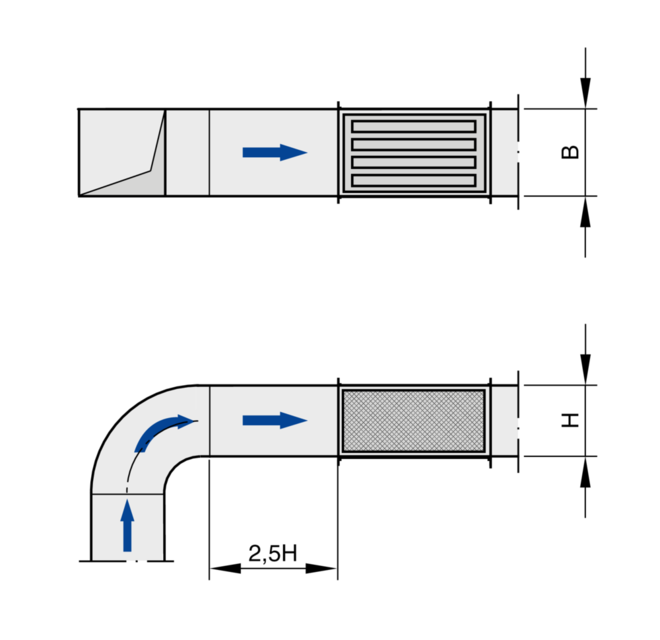 Remember this with regard to vertical ducting. 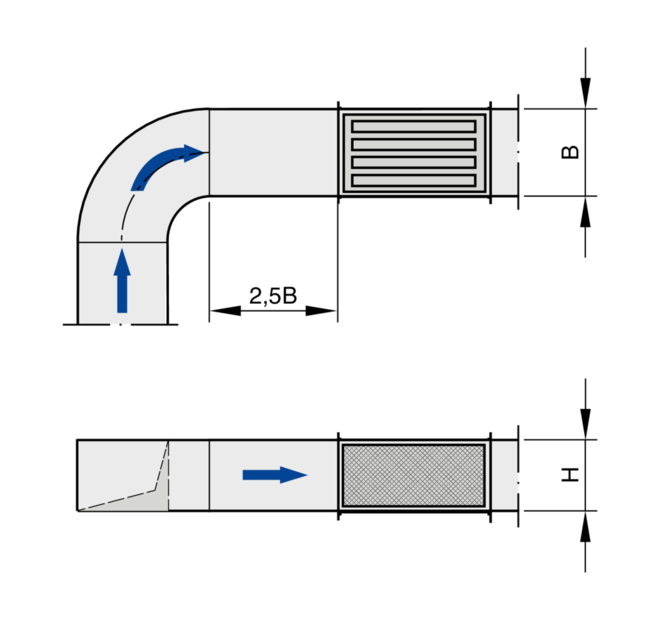 The total weight of a splitter sound attenuator is the combined weight of the casing (with standard flange or angle section frame) and all splitters. The total weight for intermediate sizes can be generated with our Easy Product Finder design programme. 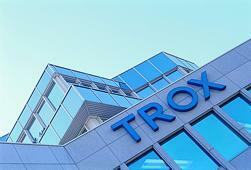 All values were measured in a TROX lab and to EN ISO 7235. Intermediate values may be achieved by interpolation. Lab measurements exceeding 50 dB are indicated as 50 dB, in line with common practice.